Tourist bible Lonely Planet has announced its top pick for the best travel destination in Asia for 2017, and chances are you’ve never heard of it. According to travel experts, the Chinese city of Gansu could soon replace Bali as Australia’s hottest travel spot. “It could potentially become the new Bali. Gansu is basically unknown to the average traveller but with Lonely Planet’s help it could explode,” University of Technology Sydney tourism expert Dr David Beirman told The New Daily. Gansu’s mix of untouched terrain, exquisite local cuisine and upgraded transport services should push the province to the top of your bucket list, Lonely Planet said. The crowd-free city hosts picturesque views with surreal scenery ranging from the arid peaks of Xiahe to the otherworldly rainbow desert of Danxia National Geopark. Its crown jewel and world-class Buddhist art site, the Mogao Grottoes, which received a huge upgrade in 2015, plus a giant Buddha at Bingling Monastery, make it an “underrated” must-see destination. The province also carries historical significance as it straddles a once-great trading and military route between China and central Asia as part of the northern Silk Road. However, Dr Beirman told The New Daily he is concerned for areas such as Gansu, with little-known destinations regularly being “ruined” by Lonely Planet’s recommendations. 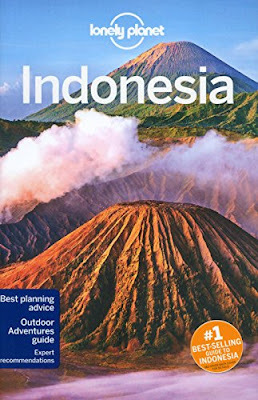 “There is a tendency for Lonely Planet’s selections to kill an area with over-tourism,” he said. “They are very, very influential which can be a negative for these destinations. What it calls a hot-spot often becomes a self-fulfilling prophecy. For Australians, flights to Lanzhou – the capital of Gansu – are relatively cheap, averaging around $600-$700 one way. Prices for accommodation according to Trip Advisor are even cheaper, with four-star hotels available from $65 to $180 a night.